One of the "must-do's" in the City of Sin is to see any of the amazing shows that you can only witness in Las Vegas. Performances by Cirque du Soleil have been performed all over the world. 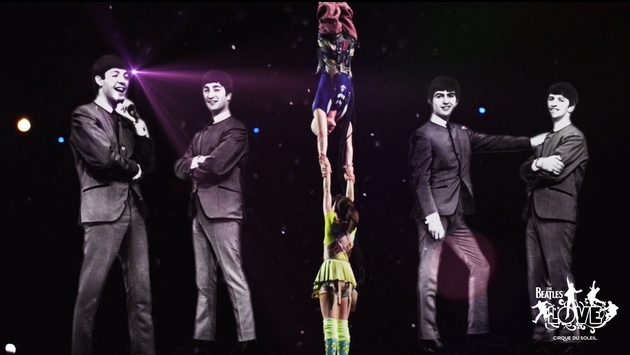 When it comes to an attraction in Vegas, everyone knows about "The Beatles LOVE," as one of the headlining shows. Before you buy a ticket, you can actually experience rehearsals for free on Friday and Sunday afternoons. Artistic director Melanie Lalande says the 30 minute rehearsals are open to show fans "exactly what it's like to bring 'Love' to life." According to the Los Angeles Times, you can watch the cast of 70 perform to the Beatles' iconic and chart-topping songs at The Mirage. Members of the Soleil team will be on-hand according to the website "to answer questions and share stories of the development of the show." The show was voted by Las Vegas Review Journal as "The Best Show" from 2008-2010 and 2013-2014 and won a Grammy for "Best Compilation Sound Track Album and Best Surround Sound Album" in 2007. So come together and take a few moments out of your day to see some spectacular behind the scenes acrobatics and entertainment.